TextSpeak Notify! supports both pre-recorded audio and real-time Emergency Notifications directly from typed text (like SMS) in over 20 languages! Check out the samples below to hear our High-Definition text-to-speech in action! Additional PREMIUM voices include : Arabic, Australian, Chinese, Czech, Danish, Dutch, Finnish, French (B), Hungarian, Japanese, Korean, Norwegian Romanian, Turkish, Portuguese, Russian, and Swedish. Each language includes 1 male and female voice. CONTACT US FOR VOICE SAMPLES! Dutch Transit Demo – Advanced Passenger Information Text to Speech Announcement Systems. Upgrade travel hubs, add speech using data from visual display data. 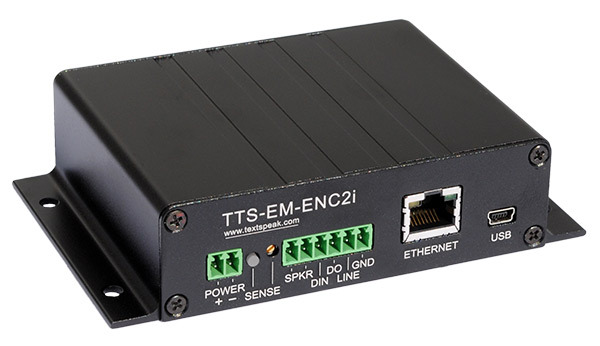 Demo shows RS232 sign data converted to Dutch speech using TTS OEM module or earBridge Amplifiers.